It could have been worse. So how much stock do we put in the Royals brief winning streak? Not much. Let’s be honest. This continues to be a flawed team right now, but there is a light at the end of the tunnel. Duffy and Ventura were outstanding in back to back outings over the weekend in Chicago. I’m a Danny Duffy fan. I’ve been pulling for this guy all along. He teases you with some electric stuff and appears to have it all figured out. Then he goes off the deep end! Duffy was really good Saturday against the White Sox. So was Yordana Ventura but I don’t think he’s even close to being fixed. I think Ventura realizes he’s skating on thin ice. He can thank his lucky stars for Ned Yost. It doesn’t matter how good Ventura is, he can’t continue down this path. There will be another dust-up before the season is over. Another one of these brawls will jeopardize injury to a teammate or two, the manager will have another closed door meeting with his temperamental pitcher and all will be forgotten. Now on another topic, the Royals aren’t the same team and it’s not just because of all the injuries and lineup changes. They’re not doing the little things despite their hitting drought. And base-running has been atrocious at times. It cost the Royals 3 outs in Sunday’s game. The Royals turned 3 double plays which saved the day. For a team that prides itself in fundamentals, the Royals chopped it up pretty good on the base paths. After watching Whit Merrifield for the last few weeks, it makes you wonder why the Royals had this versatile young player buried down on the farm. He has been a delight to watch. He just looks like a player. The manager finally dropped Escobar from the leadoff spot and Merrifield has been terrific as the No. 1 guy at the top of the order. He’s seeing a lot of pitches and the guy makes contact with everything. I would drop Escobar way down in the order and move Cain up to the No. 2 hole just ahead of Hosmer. The way Merrifield gets on base should help set up Cain and Hosmer very nicely. This home stand is big for the Royals. They’ve dug a hole for themselves on the road. Only the Twins have a worse road record in the league. The Royals are 10 games below .500 on the road. Yikes! The Indians are the real deal. They’ve owned the Royals this season. 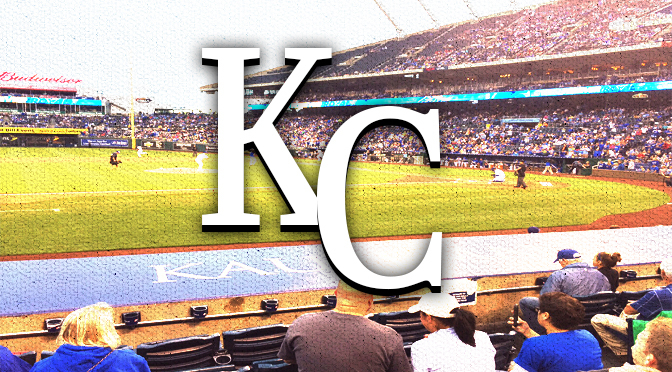 The Royals are still stinging after being swept a week ago in Cleveland. It’s way too early to get giddy one way or the other about this team but the Royals are fortunate to be still hanging around the top of the division after that prolonged hitting slump coupled with an 8 game losing skid. We shouldn’t worry about the team’s hitting woes. It will get better. The bigger issue is the starting pitching; 4-plus ERA. The silver lining here is the performances of Duffy and Ventura in back-to-back outings over the weekend. Somehow, someway, the Royals need to find a good starting pitcher if they’re to make another run at a championship. Tickets For Less is an Overland Park, Kans.-based ticket seller. We are one of the biggest sellers in the country of Kansas City Royals, Kansas City Chiefs, Kansas Speedway and Sprint Center tickets. To order, call 913-685-3322 and speak to our helpful sales team. You can also visit our website to order online.